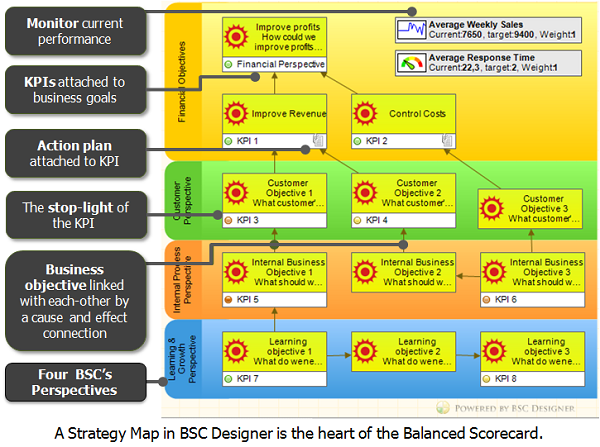 A strategy map is created automatically with BSC Designer software. 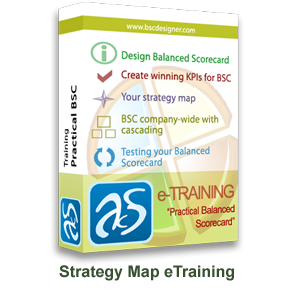 It represents four perspectives of the Balanced Scorecard (Finance, Customers, Internal Business Processes, Education & Growth). 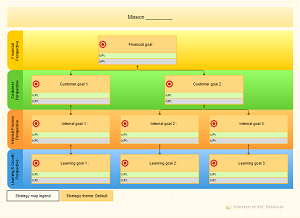 Business goals on the strategy map are linked by cause-and-effect connections. 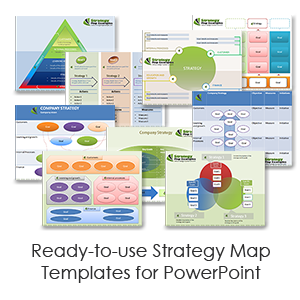 Some business objectives are aligned with KPIs and action plans. Learn more. This entry was posted in Reviews on December 13, 2013 by admin.